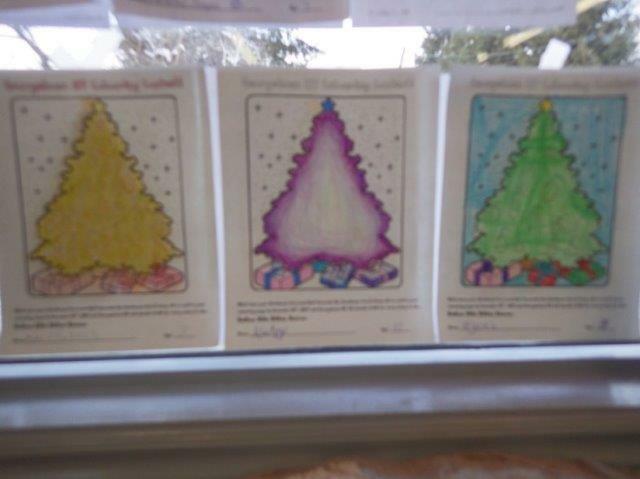 NHKR is pleased to announce the winner of our contest, Kaitlyn Brown! 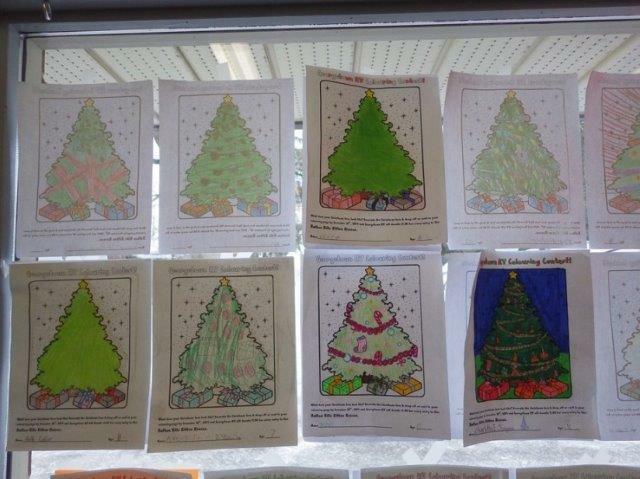 We received entries from 14 people, with some entries containing more than one design. It was quite a close race with so many great submissions. Thank you all so much for taking the time to participate. Kaitlyn is wearing a shirt with her winning design and is holding the metal cat donated by Doris Treleaven (Metalscape). Kaitlyn is entering Grade 9 at Christ the King this year, and has already decided she wants to be an animator. The tee-shirts in adult unisex and youth sizing, are available in red, blue, green, and pink. 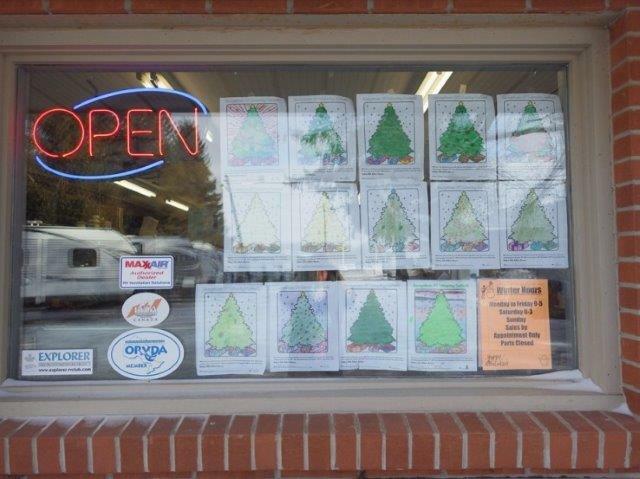 North Halton Kitten Rescue would like to thank the staff & customers of Georgetown RV for the generous donation to NHKR from their 2014 Christmas coloring contest. 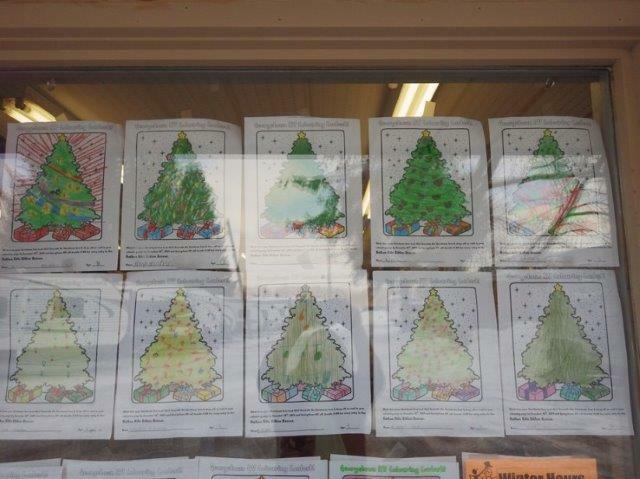 Pictured below are Joanne (left), Krystal & Pat (right), and some of the more than 25 excellent pictures submitted by people of all ages! North Halton Kitten Rescue is now a registered charity! 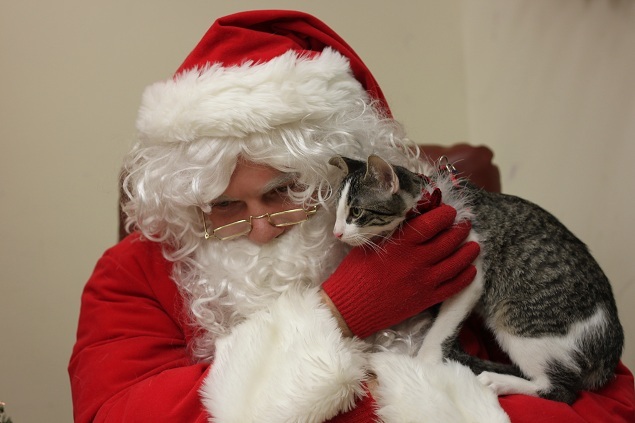 On July 15'Th 2013 North Halton Kitten Rescue became a registered Canadian Charity. Make your tax deductible donation to North Halton Kitten Rescue and be assured 100% of your gift is used to help kittens find permanent homes. Click on the Donate Now button or visit our Donate page for more information. 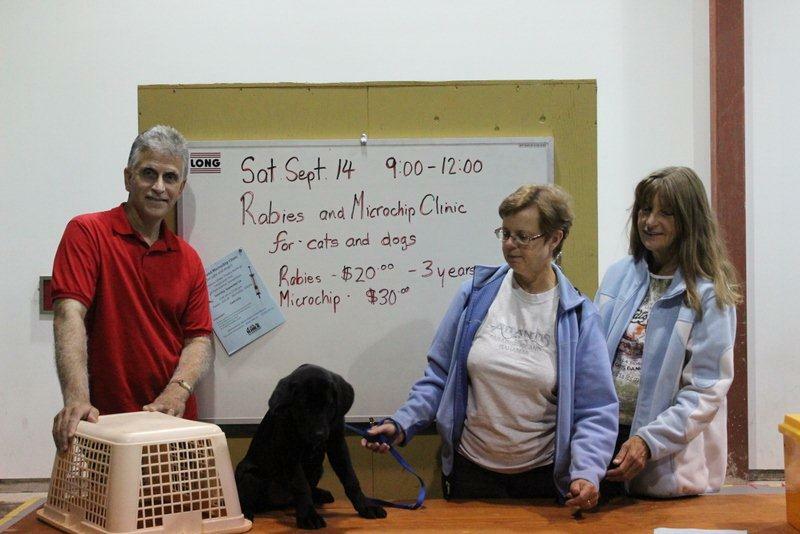 North Halton Kitten Rescue hosted our first Rabies & Microchip clinic on September 14'Th at Georgetown Globe Productions Old Armoury Facility, vaccinating or microchipping more than 100 'happy' cats & dogs. 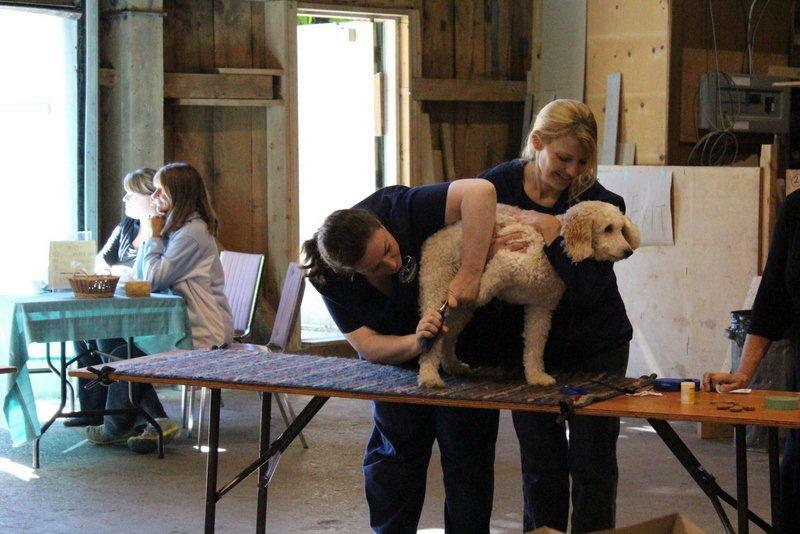 Thanks go to Dr. Frances Walker DVM (sponsor of the clinic), Dr. Kara Grey DVM, Dr. Amanda Frank DVM and Teresa, Andrea & Anthea of the Georgetown Animal Clinic, Dr. Christina Swainson-Trenton DVM & Sarah Boot of Trenton Mobile Veterinary Services and of course the great NHKR volunteers for all their help hosting the clinic! Our Annual Yard Sale in Limehouse on July 13, was again a huge success. The weather was purrfect. Thanks to everyone who donated items, our tireless volunteers and those of you who came out to support us. All of us at the North Halton Kitten Rescue would like to send a really big THANK YOU to the Georgetown Mustangs! We appreciate all the hard work they did in raising this large donation. I would like to let the team know that part of the funds raised will go to replacing one of our show kennels and the balance will be put towards the upkeep of the kittens. 'Three (cheers) meows!' for the Georgetown Mustangs!!! 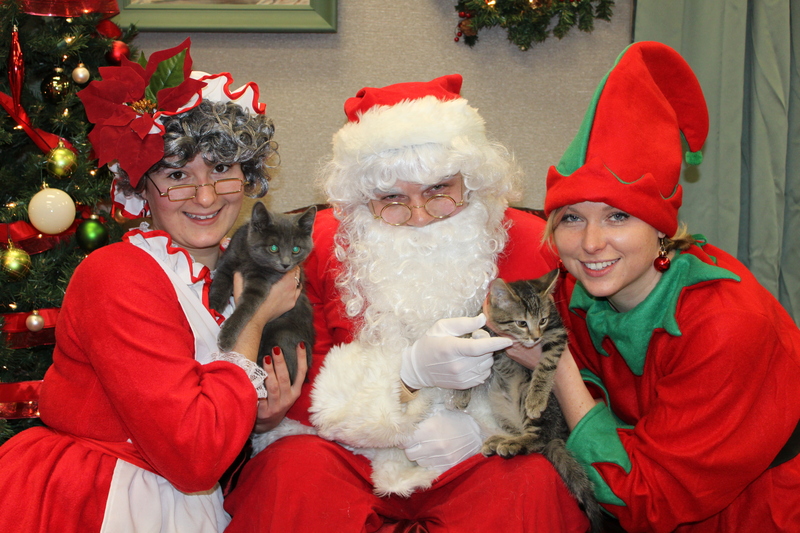 Hopefully you had a chance to visit Pet Valu with your furry friend for a picture this year. 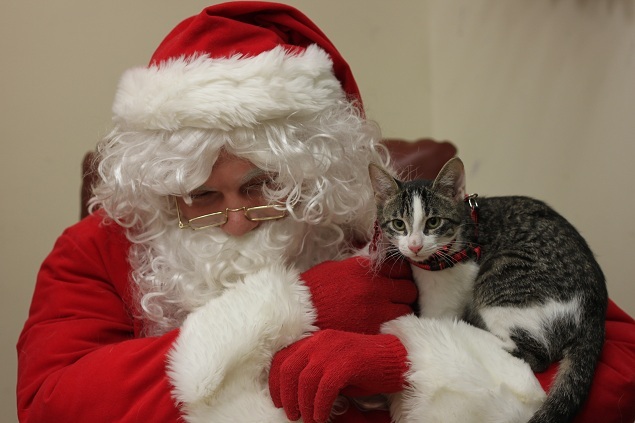 Santa said all the pets he saw this year were on his 'nice' list. The book/CD/DVD sale October 20th and 21st was a great success. Over $2,400 was raised! Many helping hands guaranteed the success. With thanks to: volunteers who set up and staffed the table; book/CD/DVD donors; volunteers who put up posters and communicated news of the sales to friends and family; Mike P. who handled donation pick-ups and took the remaining stock to store in his shed; Mike & Judy for personally picking up boxes of books from friends; Georgetown Marketplace staff; Pet Valu, Creature Comfort, Global Pet Foods and Elizabeth Bolton for being donation drop-off locations; The Independent for advertising; Anne H. for making the ornaments; and thank you shoppers! The volunteer and public support was invaluable. 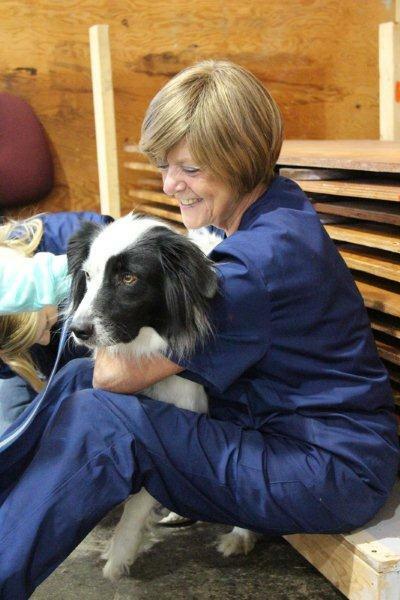 Pet Valu's PAW weekend was a huge success. 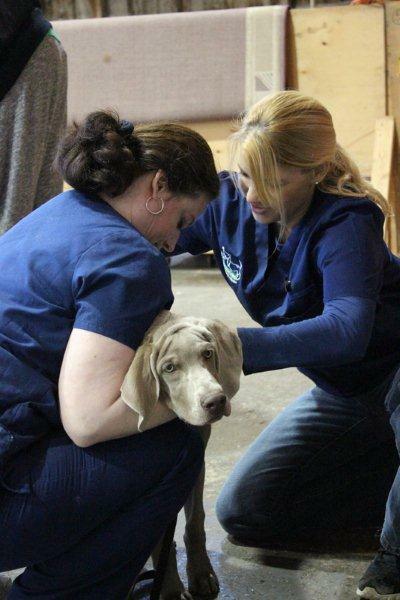 For more information, visit www.petvalu.com/paw2012 for local event details. 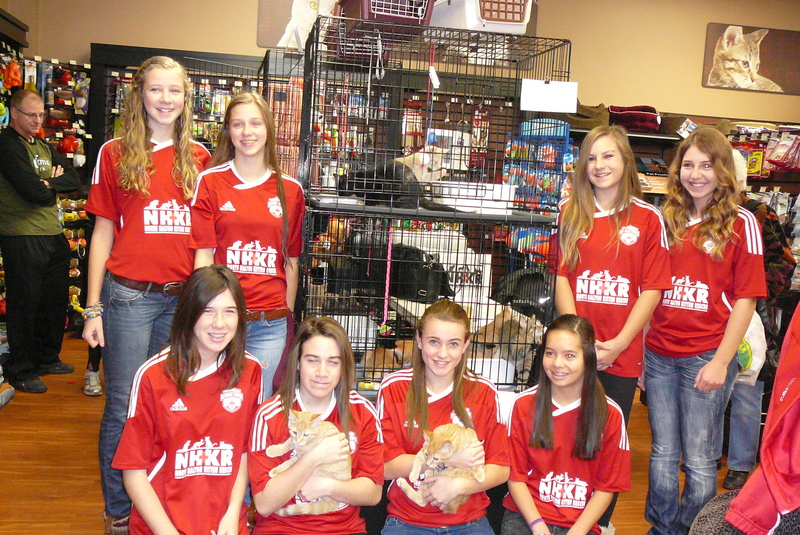 Pet Valu Georgetown selected NHKR as their local rescue! 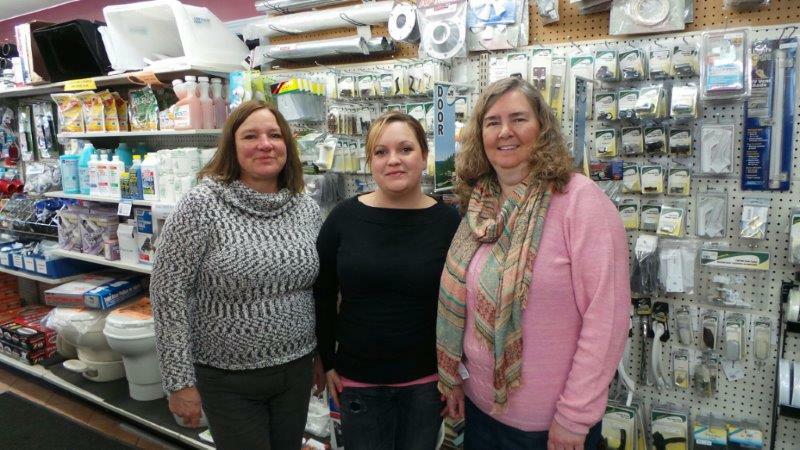 NHKR would like to thank Liz and her staff for this support and the support they offer to us year round! The volunteers of NHKR would like to say a huge thank you to everyone who has supported us throughout the year. 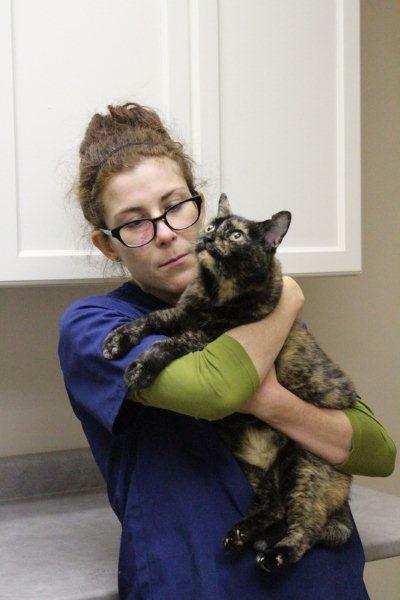 With your help and support, we were able to help 59 kittens find their forever home in 2011. 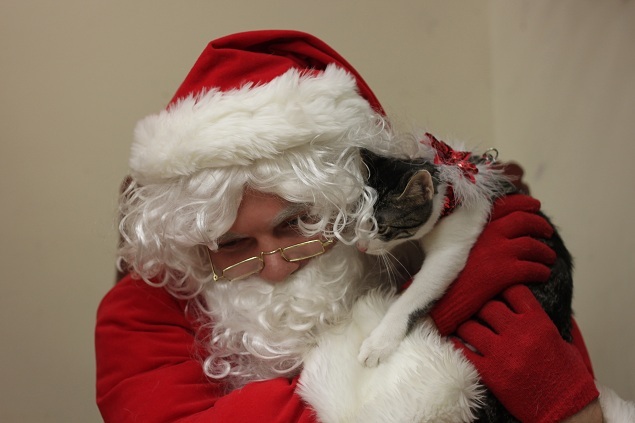 Hopefully you had a chance to visit Pet Valu with your furry friend for a picture. Here are a couple that were shared with us. Quilt Draw North Halton Kitten Rescue held their Quilt Draw on November 5 at Pet Valu in Georgetown North. The winner's name, Isabel Clark of Mississauga, was drawn by Jessica Buckley and her sister Dana Warford. 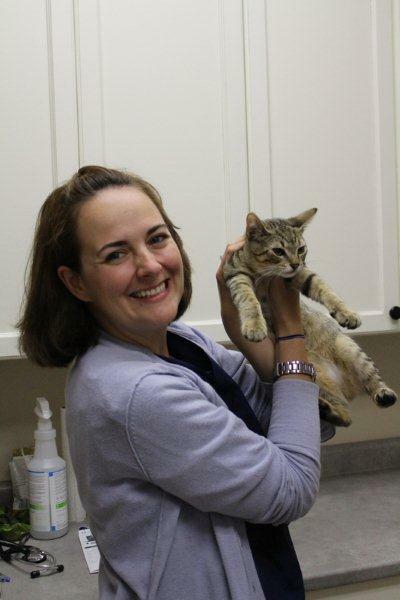 Dana is the proud owner of rescued kitten Bonavista who will be renamed Boomer. The beautiful quilt was kindly donated to the NHKR by Marion Clark and sister-in-law Verna. Isabel Clark (no relation to Marion Clark) entered the draw when she made a donation to NHKR at the recent Open House at the Georgetown Mall. 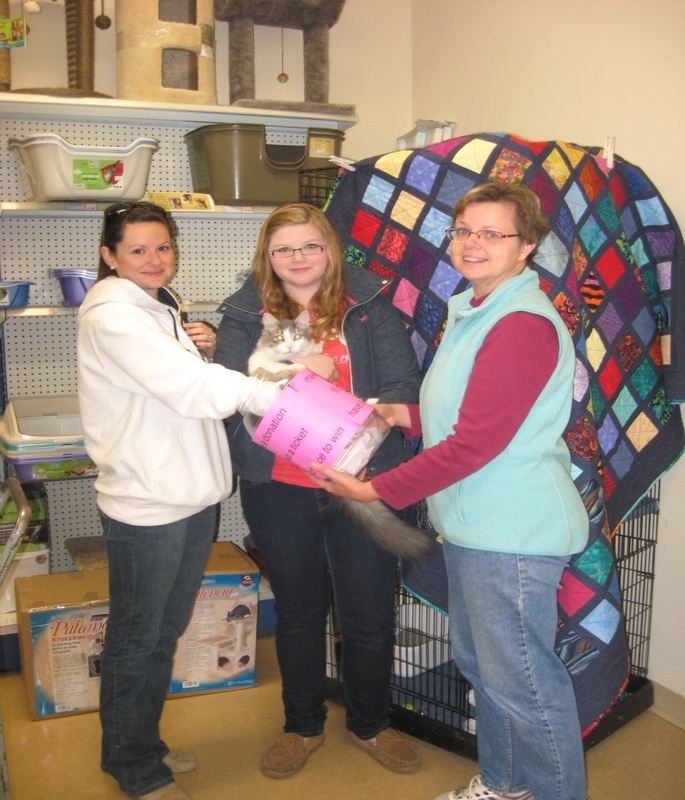 All funds donated were used to help the Halton Hills stray/abandoned kittens. 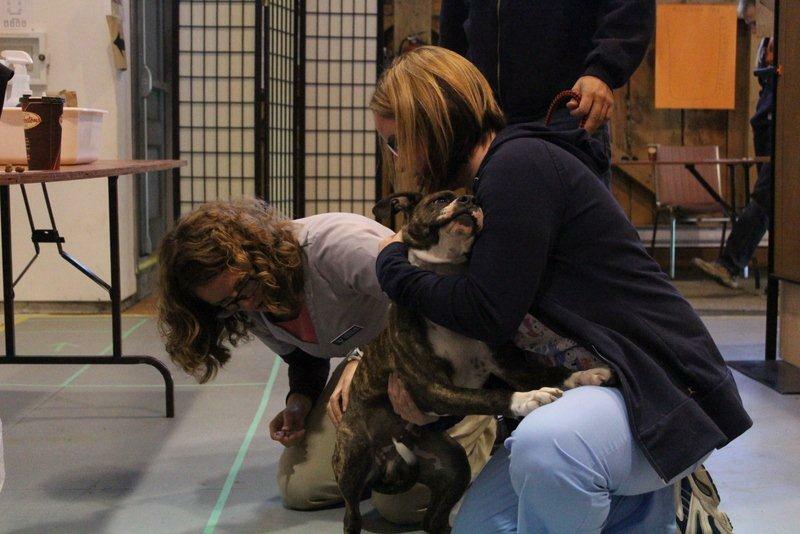 Pictured here drawing the winning ticket is Jessica Buckley, sister Dana Warford (holding Boomer) and NHKR chair Roberta Adair. 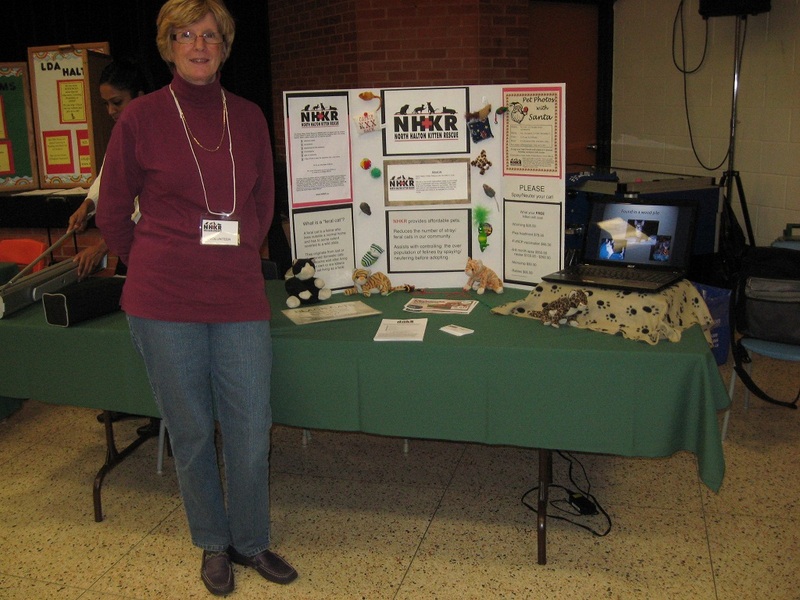 Marion @ Halton Links Marion, one of our volunteers, manning the booth at the Halton Links information open house for non-profit service organizations at the Acton Highschool. We talked to several people who were unaware of the dilemma rescues in North America face - adopting black cats "adopted the least :dumped the most". Other people were supportive and thanked our group for our efforts on behalf of unwanted kittens and moms. Our book sale at Georgetown Marketplace on October 1 & 2, was a great success. Thanks to everyone who donated books, our volunteers and those of you who stocked up on good books to curl up by the fireplace with. 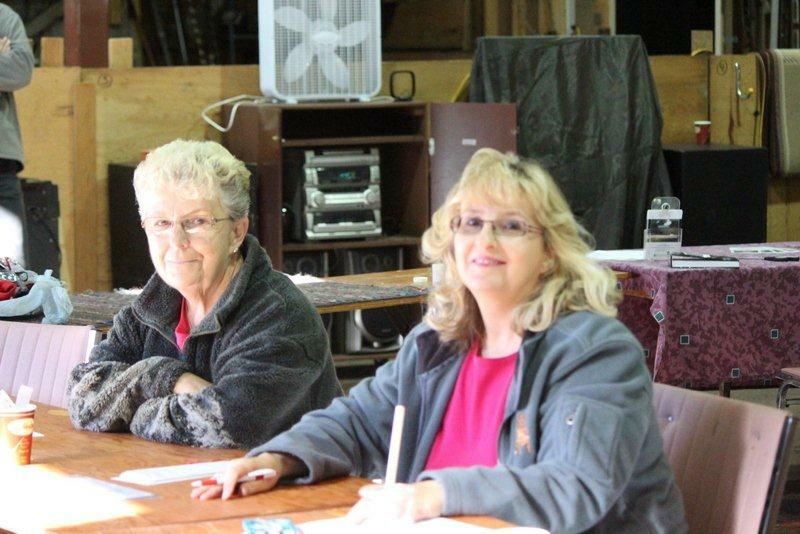 Our Annual Garage Sale in Limehouse on July 23, was a huge success. Thanks to everyone who donated items, our volunteers and those of you who came out to support us.